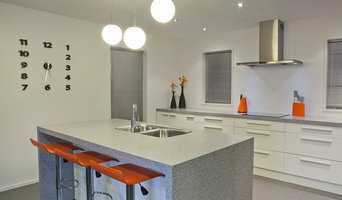 Contrast Interiors is a cabinetmaking business based in West Auckland established in 2005. Managing Director, Brendon Dunn is trade certified in Furniture Making and is skilled in all aspects of the cabinetmaking trade. 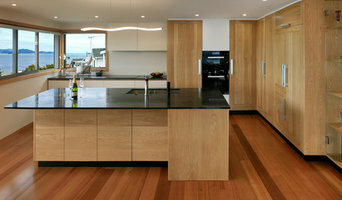 Artisan Carpentry is an award winning small New Zealand business focused on providing high quality timber solutions. We specialise in bespoke joinery and cabinet making, from concept and design through to manufacture and installation. We pride ourselves on the skilful construction of solid timber woodwork which is made to stand the test of time. We work with solid timbers both local and imported, recycled timbers, plywood, laminates, and more. We can incorporate a range of materials into your design. MOTIDE PHILOSOPHY Our handmade designs are simple and honest, using sustainable materials that are natural, long lasting, and timeless. We use recycled and sustainable materials to produce beautiful custom taylored designs with attention to detail. We can build the unique timber feature for your home, be it your dream kitchen or that special piece of furniture. We can help with lighting and interior concepts, too. We’re committed to preserving the skills and knowledge our joinery team possess, at the heart of what we do. This gives us a rare ability to build technically challenging, bespoke designs. Many of our clients appreciate the value our experienced craftsmen offer. The difference in the quality of their work, in a market where mass produced joinery is dominant, is obvious. Our joiners love their craft. So if you have a one-off piece or bigger project, our skilled team will enjoy the challenge and deliver top class workmanship and results. For over 20 years Orchard Joinery has been crafting bespoke kitchens, bathrooms, windows, doors, fittings, furniture and stairs. As a registered Master Joiner you can have the confidence of knowing that all our workmanship is guaranteed for 10 years. I've been manufacturing interior cabinetry since 1992 mostly for superyacht interiors but also commercial interiors and residential interiors. I set up my own business 5 years ago. We take pride in our reputation and clients appreciate the process we have for a successful project: COMMUNICATE: We liaise closely with clients, their architects and draughtsman or create our own designs in partnership with the home or business owner. DOUBLE CHECK: Once the site is ready we measure and double check all details on site in coordination with the builder. LOCALLY BUILT: Our qualified tradesmen then fabricate the units in our joinery factory, ensuring our high standard of work and specifications are rigorously adhered to. WE INSTALL: Our craftsmen install the products they have built and follow up service is literally minutes away. Welcome to STASH! Our friendly team of designers can offer you a consultation either in your own home, on the building site, or at our showroom. We'll take a detailed brief of your storage requirements, whether it be clothes and shoes for a wardrobe, or foolscap folders and file boxes for a home office. We want to design a bespoke storage solution to suit your individual needs. 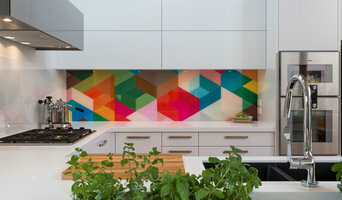 Kitchen FX are qualified joiners and members of the Master Joiners Association, we have been designing and building kitchens since 1998 in Hamilton and throughout the greater Waikato region. With an experienced and efficient kitchen design process, we know the importance of making it easy and stress free for you. Our creative team will help you design the perfect kitchen for your lifestyle and budget. 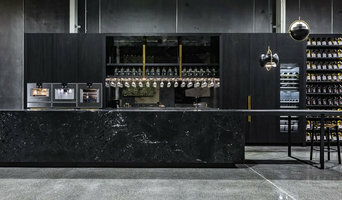 High quality kitchen solutions Wellington & Hutt Valley wide Potters Kitchens is a joinery business located in Lower Hutt, New Zealand. We offer a full range of services from design and manufacture through to installation. Although specialising in kitchen joinery, we also offer a range of domestic and commercial joinery including stairs, reception counters and shop fit-outs. We are passionate & highly experienced Potters Kitchens is a family business operated by Brent Potter who brings over 25 years experience to the business. Brent is passionate about quality and aims to give our customers high quality joinery and related services at affordable prices. Our focus is to provide joinery that is modern and stylish but also practical. In a market becoming saturated with cheap, poor quality kitchen products, we believe it is important to retain that emphasis on quality and durability to ensure our customer’s kitchens continue to look great for many years. We offer a wide range of cabinetry hardware products direct to the industry and to the public, including Samet drawers, hinges and overhead cupboard systems & Menage Confort wire-ware storage pantries and pullout systems. Joinery and cabinet makers are mostly known for their work in kitchens and bathrooms, but their skill set goes much further than that. It is important to understand the difference between carpenters and cabinet makers, which lies in the detail of work. Carpenters tend to work on larger structural projects and this is why many become builders, whereas cabinet makers are masters when it comes to the finer detail. 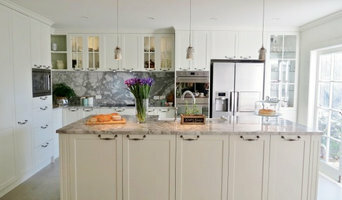 So if you’re looking for detailed woodwork like custom-made furniture for your living room or smart storage solutions, you’ll be sure to find a cabinetry expert in the Houzz directory of professionals. What Do Joinery and Cabinet Makers Do? If you know what you want and are ready to take the next step, scroll through this page to find joinery and cabinet makers. As mentioned, you can browse their latest projects, read reviews and see how other homeowners rate their work, and message them directly. You can also look through Photos to find examples of joinery you like, then contact the professional who worked on them.